Allowing users to register on your WordPress site can open the door for spam user registrations. While you can fight spam user registrations just like comment spam, wouldn’t it be better if you could just moderate user registrations like comments? In this article, we will show you how to moderate new user registrations in WordPress. First thing you need to do is install and activate the New User Approve plugin. The plugin works out of the box, and there are no settings for you to configure. You can see the plugin in action by logging out of your WordPress site and visiting the registration page. There you will see a notice informing users that their registration request will be sent to the site administrator for approval. Once a user has submitted the registration form, you will receive an email notification informing you about the new user registration. 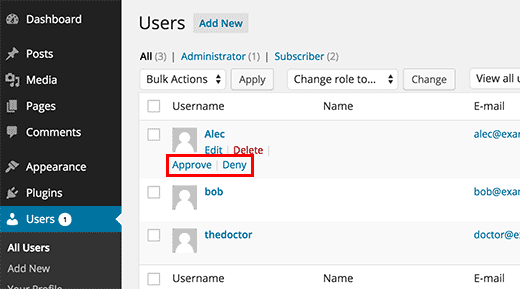 You can visit the Users screen in your WordPress admin area to approve or deny new user registration requests. When you approve a new user, they will receive an email with their password. If you deny a user request, then they will be notified that their registration has been denied. It’s important to note that denying a user registration will not delete that user from your database. They will not be able to login to your site, and they will be unable to register again with the same username and email address. If you delete a user, then the system will allow them to apply again for registration on your site. 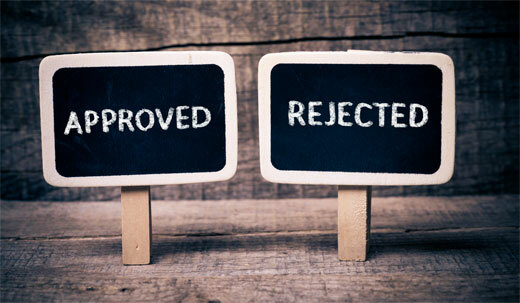 You will still have to approve them before they can access your site. 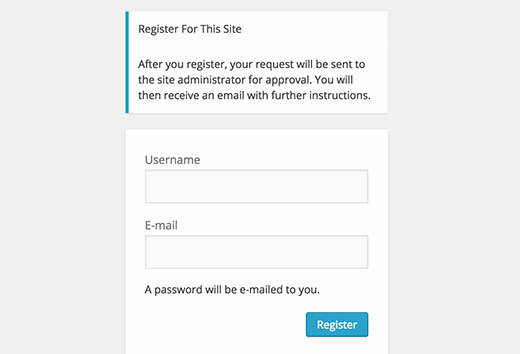 We hope this article helped you learn how to moderate new user registration in WordPress. If you are having trouble with sending or recieving notification emails, then check out our guide on how to fix WordPress not sending email issue. We are now not wanting this and are wanting customers to be able to see the prices of all products and be able to shop without being approved. How do I rectify this?? Once a user has registered, they are automatically signed in and can view content. Meanwhile in the users dashboard, the account has not been approved yet. How do I change this so that the user won’t have access to content before approved? Now the new problem is how to read the value of this column . Hello, I am using the New User Approve but the registration confirmation does not arrive in the mail users who use hotmail outlook and you know why? Please take a look at our guide on how to fix WordPress not sending email issue. I HAVE used this in the past and it did work very well. However, now that I’m running WordPress 4.4.2, the plugin page does warn it hasn’t been tested with that version and, I’m sorry to report, it does crash. Specifically, it spews out the source code when it comes to granting approval. We have re-tested the plugin on our demo sites. It works fine at our end on WordPress 4.4.2. Try deactivating all your WordPress plugins except New User Approve. If it works fine then probably one of the plugins on your site is causing the conflict. Try activating each plugin and then retest new user approval. Repeat for all plugins until you find one that’s causing the conflict. 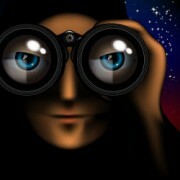 Report the conflict to both plugin authors.